Quite possibly one the juiciest pillars of all in The Breakthrough Formula is The Strengths Pillar. My clients have so many breakthroughs at this point in the programme, and the relief they experience is cathartic. When we uncover our emotional strengths we also reveal our some of our weaknesses too and that’s okay. This kind of information will allow us to take the path of least resistance every time. When you uncover your emotional strengths you’ll discover how to work with them. Lets’ explain in little more detail. It’s shown in the way you think, behave and feel; when identified and applied consciously, it helps you to respond positively to any challenges your faced with and to optimize your day-to-day life. Optimising your strengths also comes with a warning. There is a down side to optimising your strengths and that is when over used your strength can become a weakness in other areas of your life. An over used emotional strength is when you misuse this quality in the wrong way, at the wrong time or in the wrong situation. Learning to recognise your emotional strengths and put them to good use will help you manage, and become aware of overdoing your strengths. You’ll learn a lot about your levels of stress and anxiety through your emotional strengths. 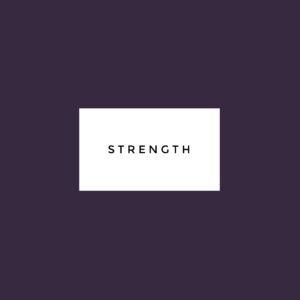 The Strength Spectrum is one of the Seven Pillars that make up The Breakthrough Formula. If you’d like to find out how you can make anxiety your friend, get in touch via the page. « What’s Knicker Elastic Got To Do With It?